« ASA May Lecture: “Astrology-Art or Science? The 8th house describes the many border crossings of our lives, from sexual initiation, to the passage between life and death. As the entrance to the underworld in Hellenistic astrology, it plunges us into the unknown, and offers an initiation. Depression and guilt may often be symptoms of being ‘stuck’ here. How best to complete the metamorphoses required by transits or natal planets in this house? Lynn Bell is a Paris-based astrologer whose work spans multiple cultures as a speaker, teacher, author and consultant in astrology. Initially self-taught, she quickly built a private practice with an international clientele. After many years of teaching and lecturing throughout France, she was invited to join the Centre for Psychological Astrology in London in 1995. As a master consulting astrologer with a multi-layered approach, Lynn’s work combines psychological and spiritual perspectives. Her interest in working with familial patterns first emerged from work with clients. After personal work in analysis, her training in Eriksonian Hypnosis led to work in family systems, and later, several years of ongoing research groups on the charts of families. Her book on planetary patterns in families, Planetary Threads, was first published in 1998. Lynn is interested in many aspects of astrology, from mundane cycles to archetypes and mythology, the relation between soma and psyche, to reflection on the psychological implications of traditional astrology. Her expertise in Solar Returns resulted in publishing Cycles of Light in 2005. She is also one of the co-authors of the Mars Quartet, and numerous journal and magazine articles. Lynn has been a featured speaker at many of the major astrology conferences in the world: UAC, ISAR, the World Congress in Switzerland, IVC Vedic Conference in Kolkata, and the FAA in Australia, as well as many other venues in the UK, Europe, Mexico, and the US. She lectures and teaches seminars around the world, from Western Europe to far-off lands like Bali, Mexico, Australia and South Africa as well as the US, and most recently in China, Hong Kong, and Taiwan. 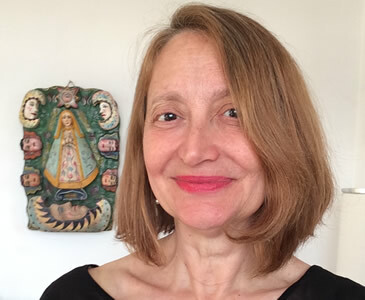 In the UK she teaches for The Faculty of Astrological Studies Summer school in Oxford, and the LSA, as well as the CPA, and she continues to consult from her home in Paris. Outside the world of astrology, she has often collaborated with Caroline Myss, and her CMED Institute. She has been part of the faculty of the New Chartres School, held every year, for the past seven years in Chartres, France by Wisdom University.